← I’m in a New Yorker state of mind. 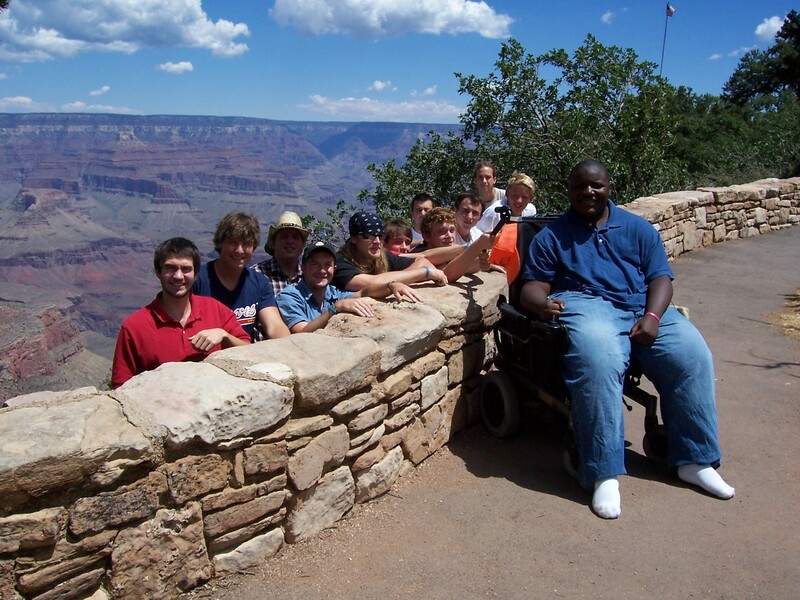 Darius & his posse going west -- at the Grand Canyon. When Logan Smalley makes a promise, he keeps it. 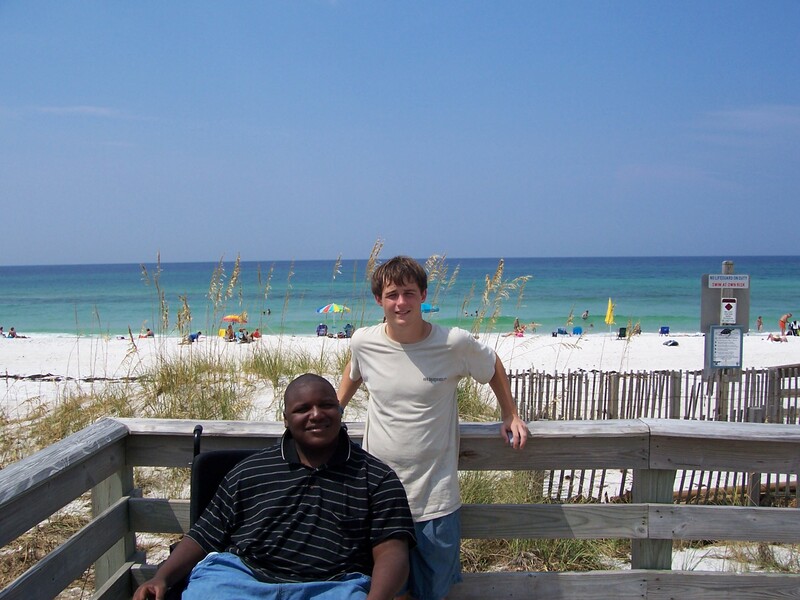 While working as a camp counselor at Project Reach in Athens, Georgia, he met Mario Weems, a brave young man with Duchenne Muscular Dystrophy. Mario was only 19 when he died, but before he passed, he asked Logan to look out for his little brother Darius, who also was afflicted with DMD. 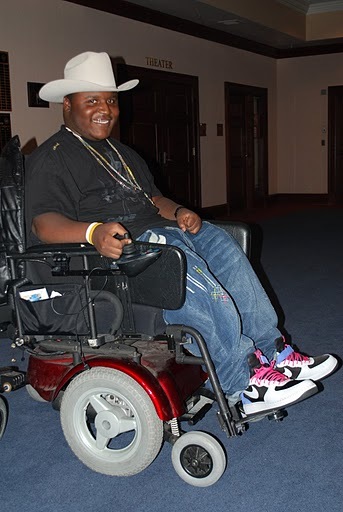 So when Darius turned 15 and decided that he wanted to go to LA and get MTV’s “Pimp My Ride” to trick out his wheelchair, the two cooked up a plan to make something big out of it. Darius & Logan -- first time at the beach! And boy, did they! 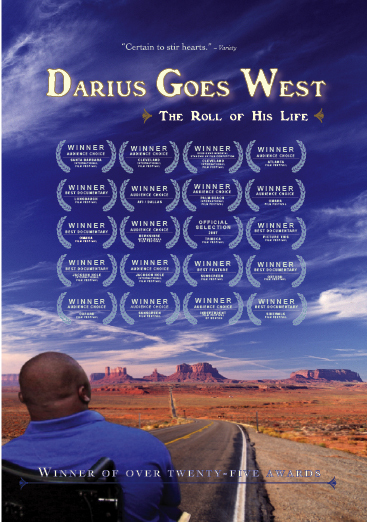 Darius Goes West is an award-winning documentary that came out of the rollicking road trip that Darius, who had never been away from home, Logan, and ten best friends made from Athens to Los Angeles and back again. Logan, with no previous experience in film, directed the documentary which won 28 top prizes in the 30 film festivals at which it was featured. And once you see it, you’ll understand why — it’s hilarious, heartbreaking, insightful, inciting, and absolutely engaging. While you’re riding shotgun in an RV through 22 states with 12 guys (not exactly my idea of a good time), you’ll fall in love with Darius and his extraordinary spirit, and come to despise this awful disease. I know! It’s such a great opportunity for teachers! I’m going to tell my friends at Cross Keys and my stepdaughter who’s teaching at the PATH school to send away for it … AND get it at Oglethorpe! !